Remember just last week when I was going on and on about how FUN my track workout was? Well, this week’s workout was still fun. But it was HARD. We ran our usual 3-4 lap warmup, then moved into our workout. This week, we tackled 4x1000s, with a 200m rest in between sets. A 1000 is 2.5 laps around the track (or just a bit over half a mile). Running middle distances at a pace faster than normal (we were at about 65% of our max speed, although I gotta be honest, I think I was at about 85% because I can’t imagine going too much faster) is hard. But that’s kinda the point, I think. Somehow, I ran the 4x1000s at an 8:30 pace. Which, for me, is pretty speedy. I felt pretty awesome about that and even better about my 9:30 pace for the cool down. I started to think that maybe 10:00 was my long run pace – had I really gotten that much faster? Then, because God has a fantastic sense of humor and knows that I need to stay humble, I had a big huge reality check on Saturday’s long run. Let me set the scene. On Friday night, I attended a 90 minute hip hop dance class with a friend of mine. It was awesome, but about 25 minutes in, I knew this would present a problem with my long run. There was a ton of jumping, hitting the floor and generally doing movements that I don’t typically do anymore (ya know, because while I love to dance, I’m not really doing full out routines anymore :)). Come Saturday morning, with 10 miles on deck, my back feels awful. I’m stiff and sore and I know this ain’t gonna be easy. And it wasn’t. I was in pain pretty much the whole run. How were your runs last week? Any reality checks lately? LOL. When I saw you were doing that dance class I was like, good on her! He certainly has a way of bringing us back to reality. But hey, you got out there and did it (and FINISHED). 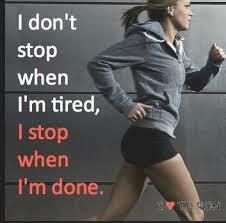 You are such a dedicated runner! 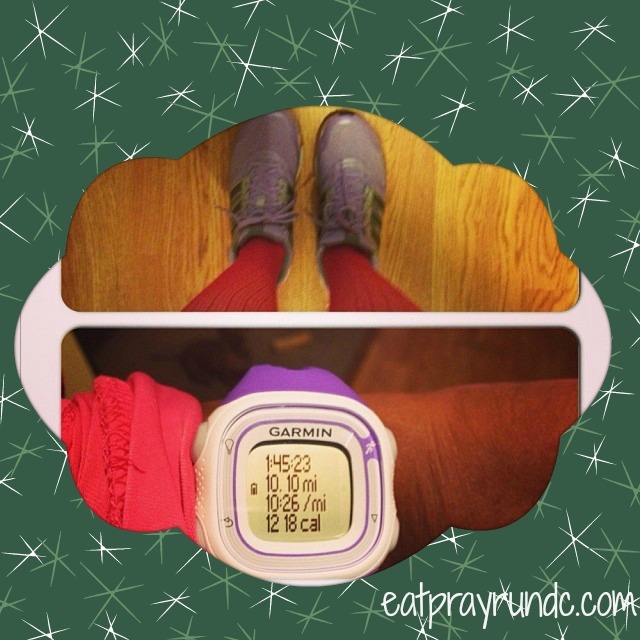 I have been getting my runs in but have drastically reduced my mileage! I’m excited about your improved track pace – I felt so blown away when my pace just began to drop. I always find I learn something on every long run – good job with it! I haven’t run in longer then I care to admit, but last night I got out there and took a long walk. That was my reality check. I am basically starting over! Lame! But I will get there. Betsy recently posted…365/357: Potato Bowl! I only ran once last week, and I had a huge reality check. I’ve cut back on training during the holidays, because I’ve just been so busy. Well, it’s definitely affected my speed and endurance. I ran a measly 4 miles, and I thought I was doing it an 8:30 pace, but it was 10:30! Not good. I have a lot of work to do. I think sometimes we need the “bad” runs to remind us how good it feels to have a great one. Good for you for toughing it out until the end! Lindsey recently posted…No Dreadmills Here!